Tonga Ridge is not a difficult area when there is no snow but during the winter months when there is it can be a fun run. The Tamers tend to run Tonga ridge for the annual Xmas Tree run and sometimes for the Hangover Run. Regardless of when you visit this area the views are great in the higher elevations. The Tamers can meet in one of two locations for this run usually. First is at the Ranger Station on Hwy 2 Just before the Foss River Road. The second location is on Foss River Road at or just past where the road goes under the rail road trestle. 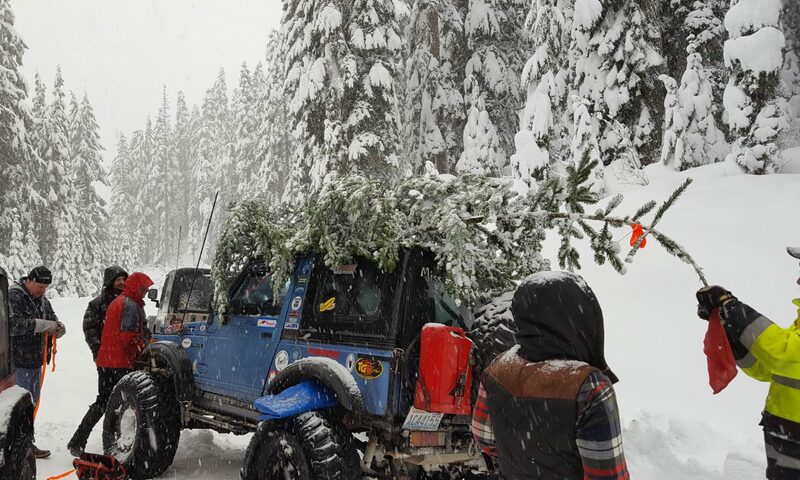 Parking for tow rigs is usually just before or after the rail road trestle depending on the snow levels. If you get there late it may be hard to find a spot to park as this is a popular area. Click the following link for a map that shows the parking area near the trestle. This is one of the areas where people tend to gather just before the run starts. You can put in your starting location and get directions. Google Map Directions for Tonga Ridge.